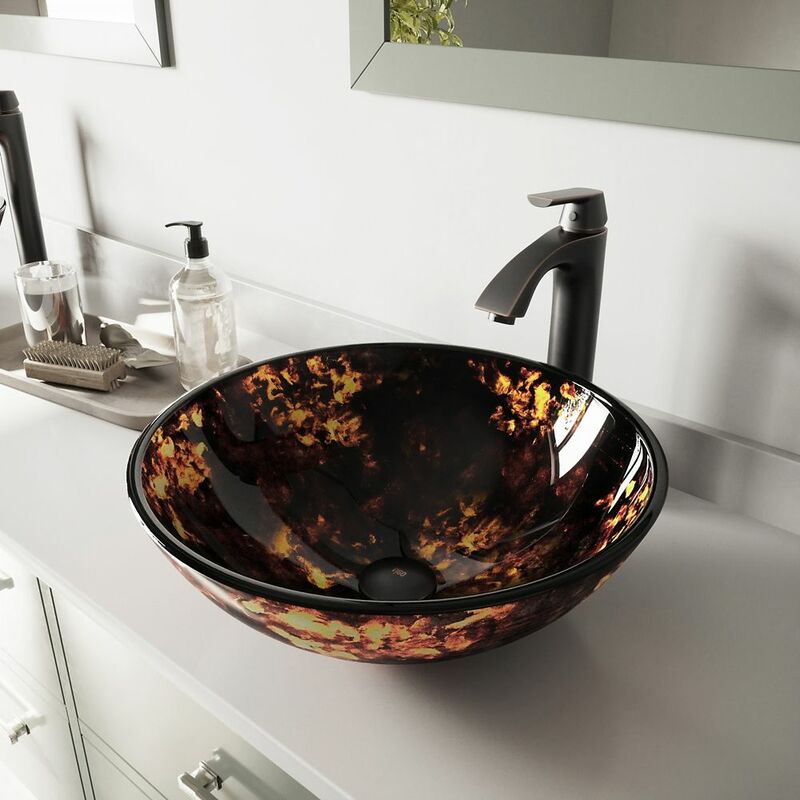 Glass Vessel Sink in Brown/Gold Fusion with Linus Faucet in Antique Rubbed Bronze is rated 5.0 out of 5 by 2. Rated 5 out of 5 by Rico27 from Beautiful Sinks Absolutely great looking and easy to install. Very happy. Rated 5 out of 5 by Lori7 from beautiful Just the look of elegance I was looking for. Everyone is giving it a two thumbs up. very easy to clean..